I was asked to do a digital portrait of siblings Erin and Bobby. I thought it would be fun if they were done in the style of the cover of a comic. Hi Amanda, what a fabulous website! 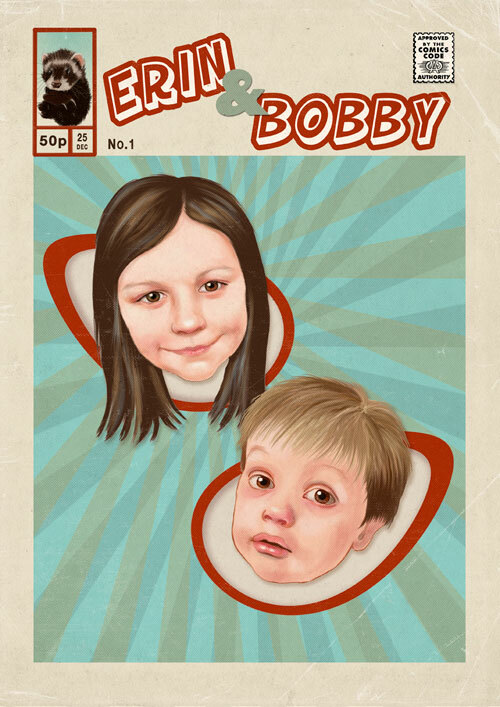 What sort of price is it for something similar to the Erin & Bobby poster? Thank you! Thank you for paying my site a visit :). A piece like this I could do for £150 + the cost of the print. Let me know what sort of size you’d want it printed, and I’d work out a total for you.